Rural Revival: It's the Great Pumpkin! there was a virtual shower for Dandy of Spontaneous Clapping? I just wanted to share an update on the arrival of Peanut. Please by sure to drop by and say hello to this cutie patootie. Consider yourself warned though. This boy's a looker. Congrats to Dandy, B and Peanut. 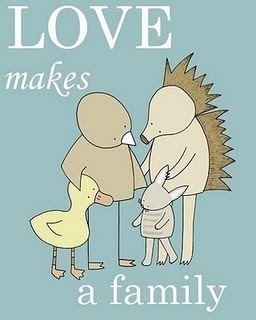 You make a beautiful family. Ugh, I just love you. I was linking to you and saw this up! I do remember that post! I will go and send along my best wishes!